Sunrise solution has met Microsoft’s highest standard for partner-developed software solutions. 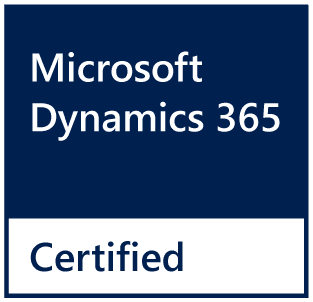 Sunrise Technologies, a global provider of Microsoft Dynamics 365 ERP and BI consulting services, announced today that the company’s Sunrise 365® solution has received the Certified for Microsoft Dynamics 365 (CfMD) accreditation. By successfully meeting Microsoft’s highest standard for partner-developed software, all Sunrise 365® products may now use the CfMD logo. Sunrise 365® is a suite of tools that optimize and extend Dynamics 365 for apparel, footwear, consumer goods, and home furnishings companies. The Sunrise 365® Supply Chain solution was originally developed and certified for Microsoft Dynamics AX, and is now fully certified for Microsoft Dynamics 365. Sunrise also addresses the unique challenges retailers face with the Sunrise 365® Retail Replenishment solution. Solutions that are Certified for Microsoft Dynamics have demonstrated development quality and compatibility with the Microsoft Dynamics product on which it runs by passing rigorous VeriTest software solution testing for Microsoft Dynamics and are profiled in the Microsoft Partner Solution Profiler tool. In addition, the Microsoft Dynamics partner must have customers who are successfully using the certified solution and willing to recommend it, be enrolled in a Partner Service Plan with Microsoft, and be a Gold Certified Partner in the Microsoft Partner Program. For customers, the Certified for Microsoft Dynamics program helps identify Microsoft Dynamics solutions that have been tested for compatibility, meet high quality standards and are successfully used by existing customers. This certification represents a significant step in elevating the standard for partner-developed software solutions for industry-specific business applications.